Let’s begin the week with Borowski Glass. The High Point Furniture Market is exhausting as well as exciting. 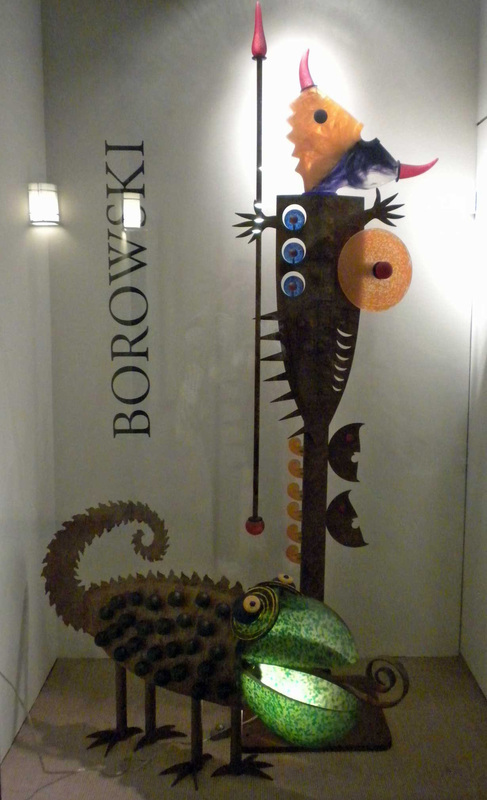 When you throw in a display of whimsical glass figures from Borowski it gives those flagging spirits an immediate jump start. “Stanislaw Borowski (born 1944 in Moutiers, France) is an artist who has gained international recognition for his engraved glass sculptures. In 1990 he founded „Glasstudio Borowski“, which has been operated since 1993 by his sons Pawel and Wiktor who have followed in their father’s footsteps as glass artists.